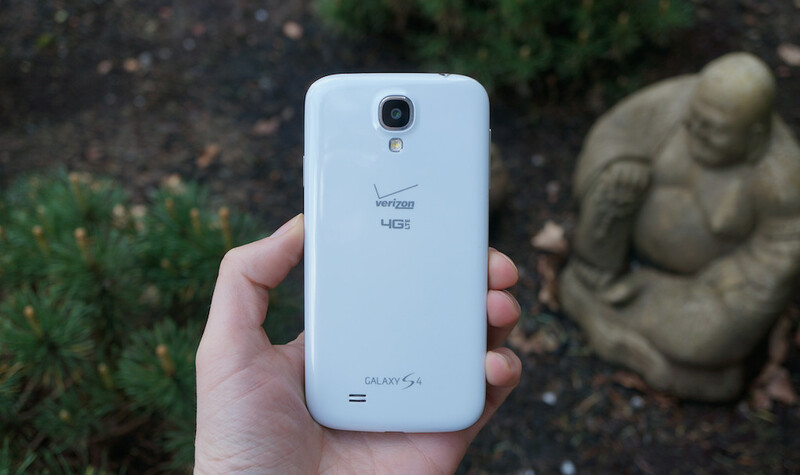 Verizon’s Galaxy S4 Gets Lollipop This Week! 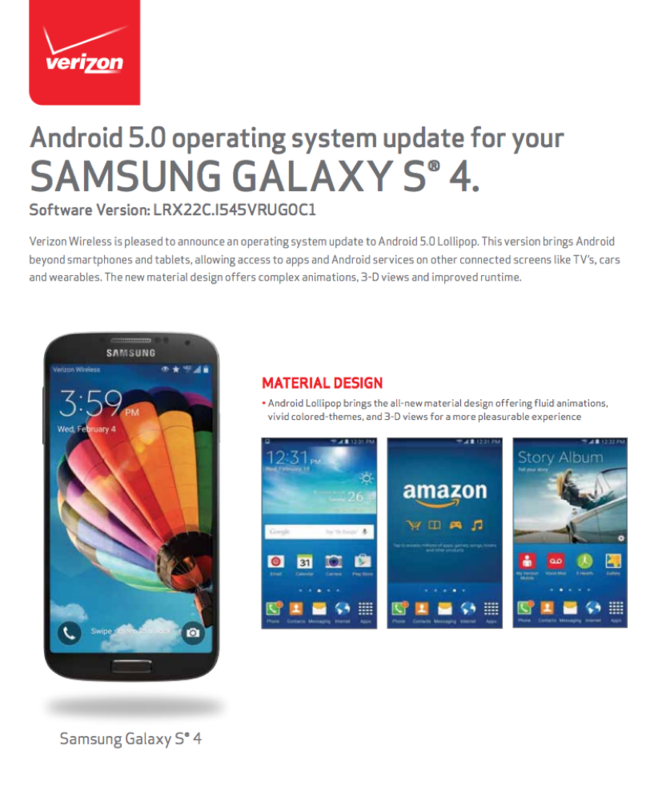 The Verizon Galaxy S4 is the next phone to get this year’s big update to Lollipop. 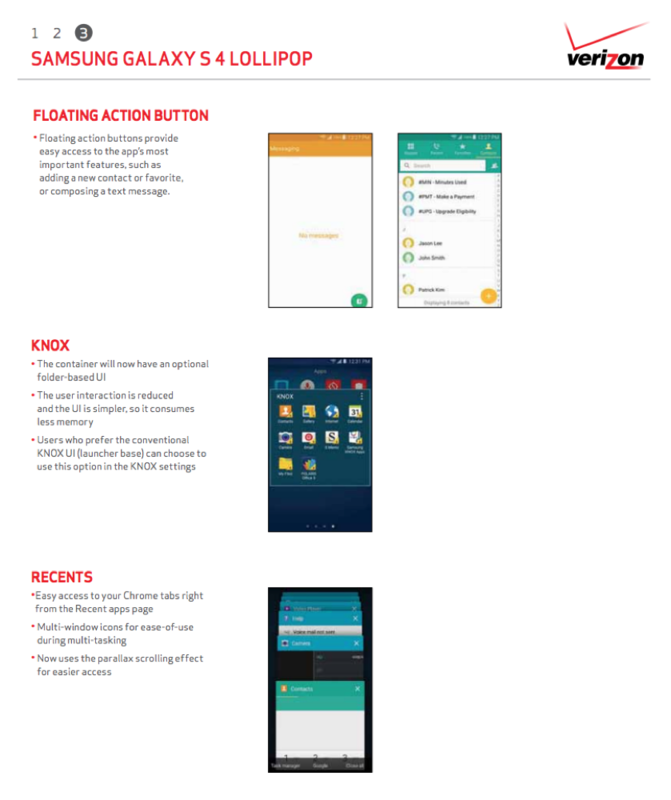 According to Verizon, the update will begin rolling out in phases this week as build VRUG0C1 and Android 5.0.1 (LRX22C). 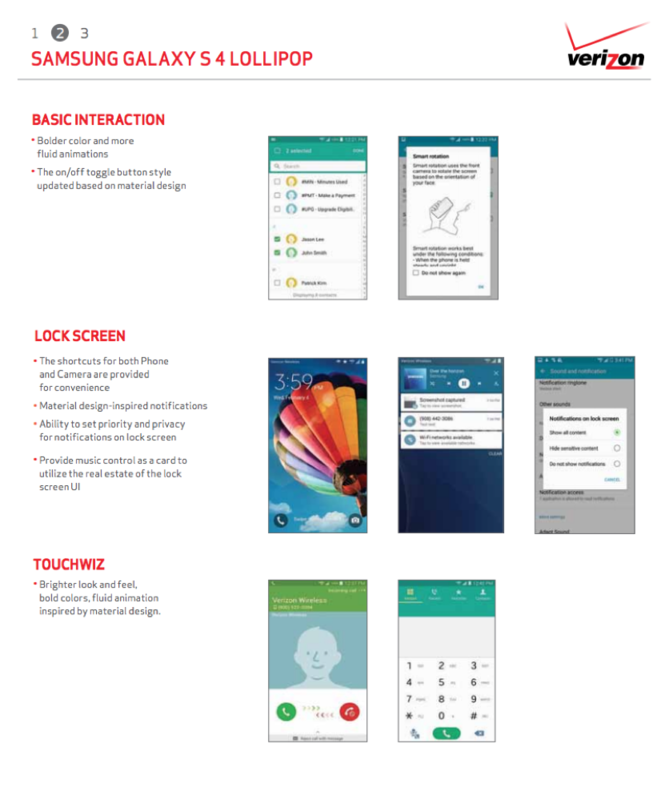 Like all other Lollipop updates, this one will feature Google’s Material Design language sprinkled throughout the OS, more powerful notification controls, including interactive notifications on the lock screen, a brighter look and feel to Samsung’s TouchWiz, floating action buttons everywhere, and a new look to the recent apps screen. In order to check for the update, head into Settings>About phone>Software updates>Check for updates.